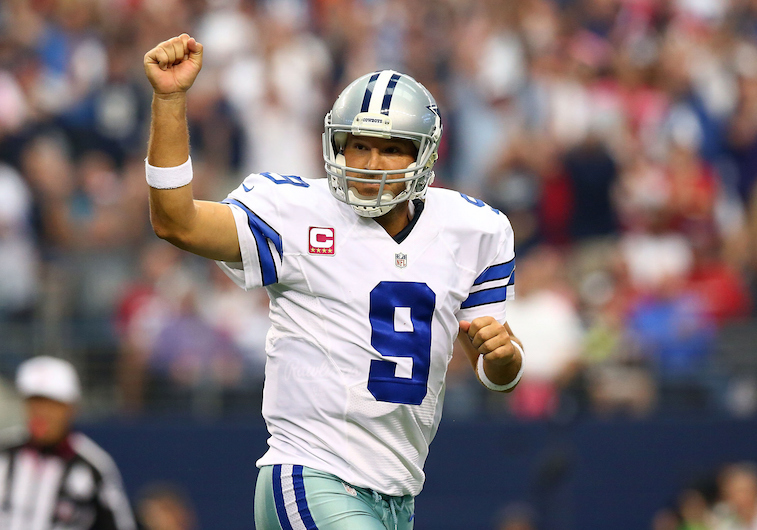 NFL: How Many Seasons Do These 7 Star Quarterbacks Have Left? Unfortunately for fans of the NFL, players like Peyton Manning, Tom Brady, Drew Brees and Aaron Rodgers won’t be playing forever. Just as we’ve seen so many other times in the National Football League, all great quarterbacks see their incredible runs come to an end. With that in mind, how many more seasons should we expect to see some of these big names in action for? Let’s take a look at not only the four quarterbacks listed above, but also a few of the others who are slowly getting up there in age. We’ll break down exactly how many more seasons to realistically except that they have left in the tank. Some of these may seem a bit more obvious than others, but we’ve seen plenty of players have their NFL careers go on for much longer than many expected them to. Manning is one of the best who’s ever done it. The man is simply an exception to the rule, as he’s 39 and is still putting up stellar numbers. Even looking just at the last two seasons, Manning has put together two of the best seasons of his entire career. Most impressive of all, is that Manning began his NFL career as a starter right out of the gate. In 2013, Manning threw for an incredible 55 touchdowns and 5,477 yards with only 10 interceptions, while completing 68.3 percent of his passes. Then in 2014, his numbers dropped a bit, but he still threw for 4,727 yards, 39 touchdowns and 15 interceptions. While it’d be great to say that we can witness the greatness of Manning for multiple more years, 2015 may be the end of the road for the superstar. After dealing with major neck surgery, which forced him to miss 2011, many expected him to hang up the cleats earlier than this year. Manning has proven the doubters wrong, but he can’t escape time. Brady has played 16 seasons and is 38 years old, but for some reason, he doesn’t seem to be showing signs of slowing down. The four-time Super Bowl champion is still building on his incredible Hall of Fame career, which has featured 53,258 yards, 392 touchdowns and 209 total NFL games. So the question is, how much does Brady really have left in the tank? Well, as Spotrac.com breaks down, his current contract goes until the end of the 2017 season. This would mean that he’d be 40, which would be about a perfect time to expect Brady to hang it up — Unless he winds up signing some type of a one-year or two-year deal with the New England Patriots, we believe he calls it a career at the end of this contract. This would give him three more seasons to play. Amidst rumblings that Brees had lost both arm strength and accuracy, the quarterback of the New Orleans Saints is still getting it done. 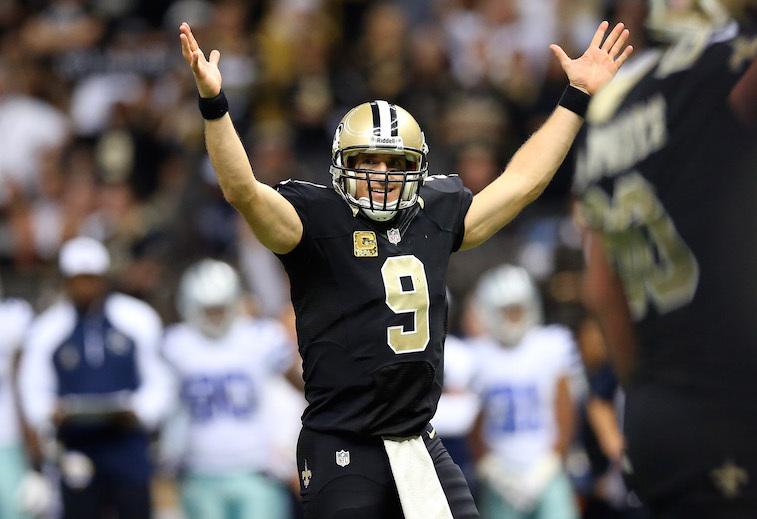 While quieting the critics, Brees completed 69.2 percent of his passes in 2014, as well as throwing for 4,952 yards and 33 touchdowns. When evaluating his recent years, Brees has actually completed less than 68.1 percent of his passes just one time in the last six seasons. Unlike Brady, Brees’ contract only goes until the end of the 2016 season. If Brees were to retire at that point, he’d be 37, which seems too soon. Throughout his entire career as a starter, Brees has missed more than one game in a season just once, back in 2003. Some may say that Brees is slowing down, but he’s continued to perform like one of the strongest quarterbacks in the NFL. We actually believe that Brees plays after his current contract, and signs something like a two-year deal. This would result in him retiring at the age of 39. Don’t stress, Packers fans, Rodgers isn’t going to retire anytime soon. While he may be turning 32 during the 2015 season, Rodgers has less wear on his body than many other quarterbacks. After sitting for three seasons behind Brett Favre, Rodgers actually only played in seven seasons to this point. Injuries aren’t a huge concern for Rodgers either, as he’s missed nine games over those seven seasons. Not only is the leader of Green Bay’s offense a superstar, but he also has kept his interceptions down in a big way over the last four seasons. After throwing 11 picks in 2010, Rodgers has thrown a combined 25 over the next four years. Spotrac points out that Rodgers won’t be a free agent until after the 2019 season, when he’s 35. Barring some type of major setback, another multi-year deal seems reasonable to expect, possibly even before the end of his current contract. Rodgers has plenty of great years left, and he could even play until 40 due to the late start to his NFL career. Big Ben is heading into season No. 12, but has been Mr. Reliable when it comes to avoiding serious injuries. While he’s missed time during his career to this point, Roethlisberger has never missed more than four games in a single season. On top of that, he’s played at least 14 games in eight of the years. Roethlisberger hasn’t really blown us away with statistics, until 2014 that is, but he simply knows how to win games. Last season was the best of his career, as he completed 67.1 percent of his passes for 4,952 yards, 32 touchdowns and only nine interceptions. While Roethlisberger is locked in with a contract until after the 2019 season, that would leave him at age 37. Could we see him sign another short-term deal? It’s possible, but that would be after season 16 for him. 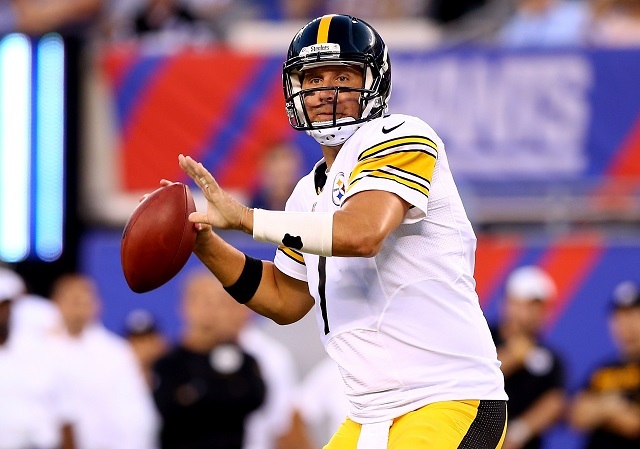 Smart money is on Roethlisberger either signing a new deal when he’s 35 or 36, or he just calls it a career after the 2019 season. If he does sign a new deal that keeps him in Pittsburgh through the 2020 season, leaving him retiring at age 38. Romo is one of the toughest quarterbacks to figure when it comes to the remaining time left in his NFL career. While he’s 35 and is signed through the 2019 season, he’s dealt with two back surgeries, which left his long-term health as a huge question mark. Now, with that being said, Romo came into the 2014 season with critics saying that he’d never be the same quarterback he was before his injuries. Fortunately for Cowboys fans, he wasn’t. He was actually even better. Romo completely shattered expectations in 2014, completing 69.9 percent of his passes, while throwing for 34 touchdowns and only nine interceptions. Dallas’ commitment to bulking up their offensive line and dominating with their run game could very well extend Romo’s career beyond what was originally expected. If this article was written before last season, it would have been safe to say Romo had 2-3 seasons left. Now? we expect him to play out his remaining contract or retire just before the end of it, as crazy as that may sound — especially after his collarbone injury. No matter, we stand by it. Back in 2013, the younger Manning brother had the worst season of his entire career, throwing 18 touchdowns against an incredible 27 interceptions. At that point, it would have been safe to say his career was winding down. He bounced back in 2014 though by throwing for 4,410 yards, 30 touchdowns and getting the interceptions down to 14, his lowest since 2009. 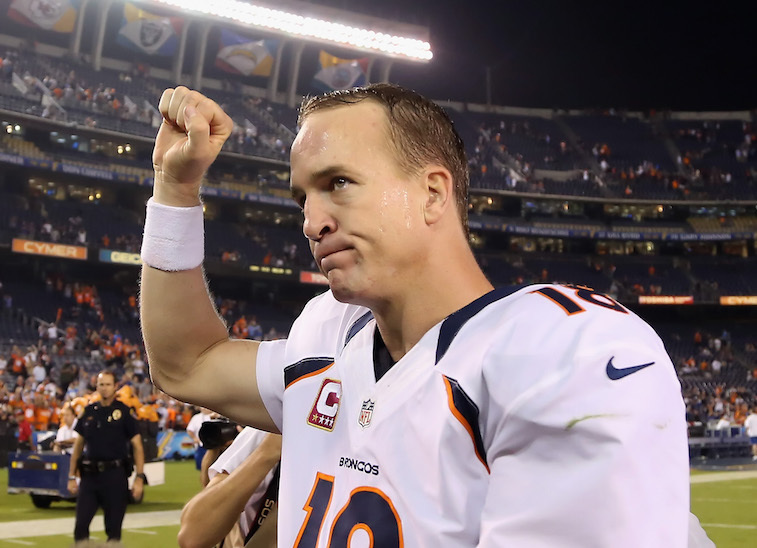 After missing seven games during his rookie season, Manning has never missed a game. With his ability to avoid injury, we see the Giants keeping Manning on for three more seasons. After that, expect him to hang it up, or potentially become a backup, at the age of 37.